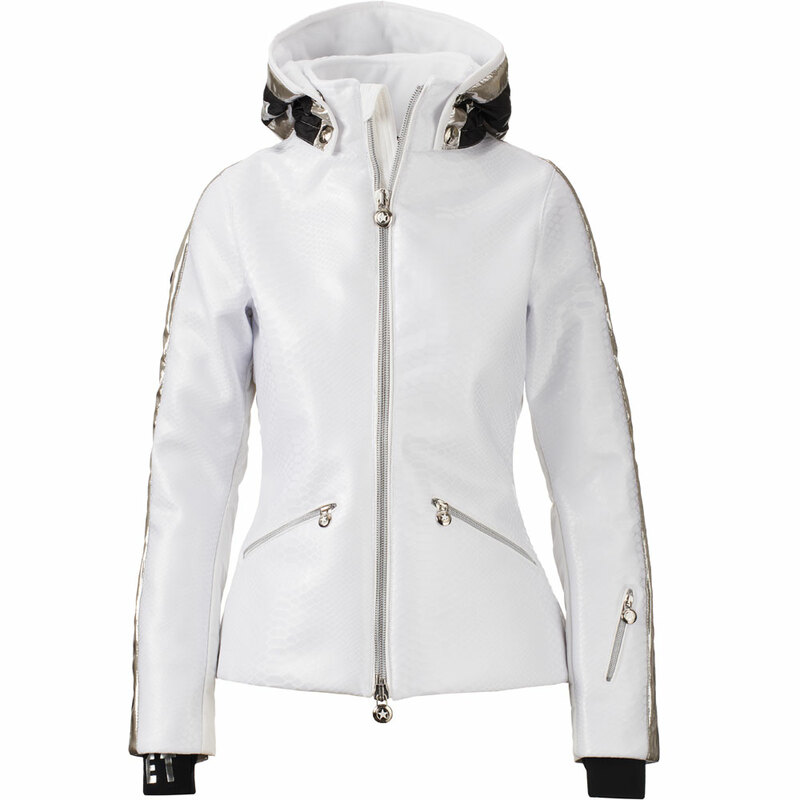 The Jet Set Lia Snake Jacket has a slim fit with a hood made of high-quality technical material and numerous star applications along the sleeves. 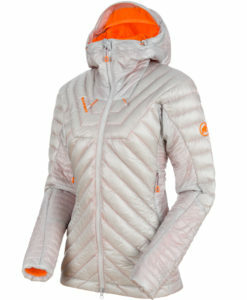 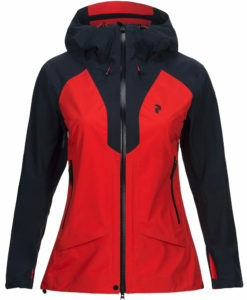 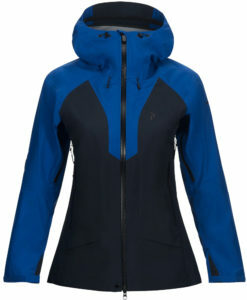 Lightly insulated the Lia can be the perfect warmer ski weather jacket, or apres/around town head turner. 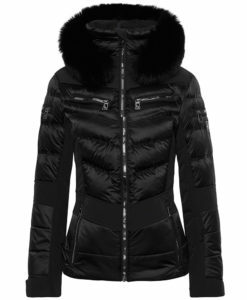 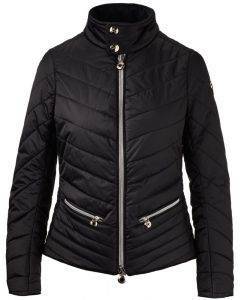 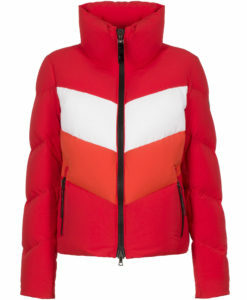 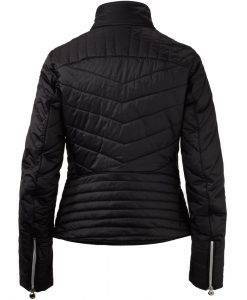 The cut of the jacket is where the design elegance is really stated, with flattering curves that steal back to the glamour era of designer ski wear. 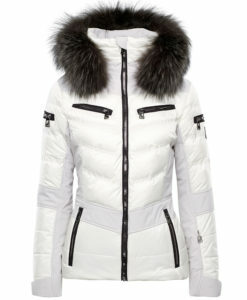 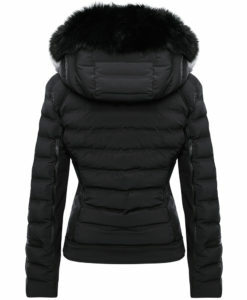 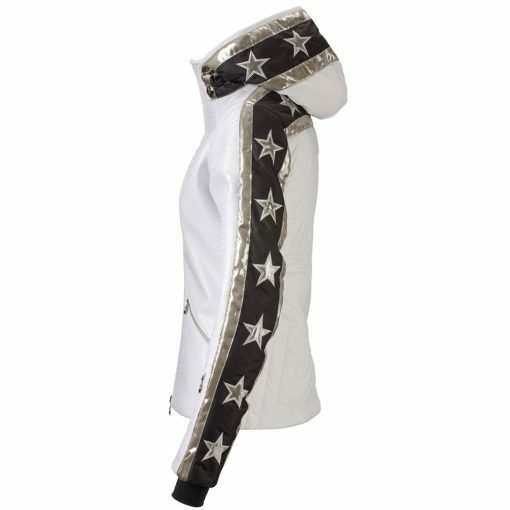 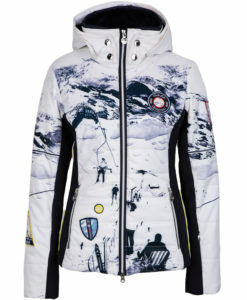 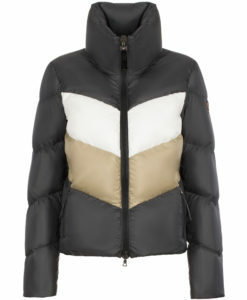 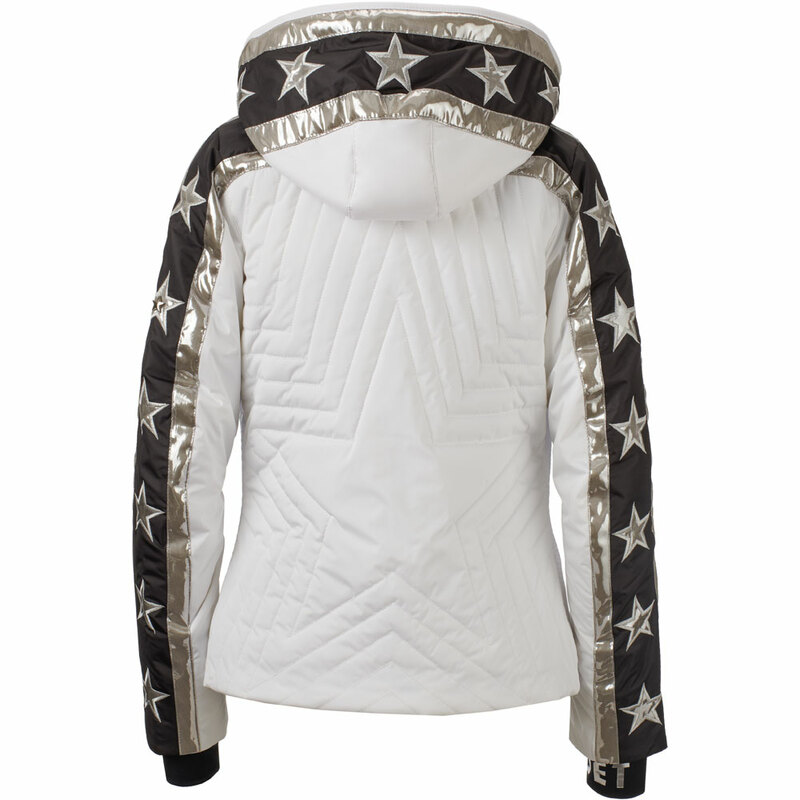 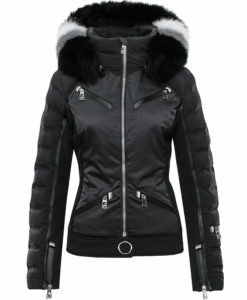 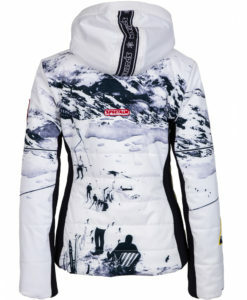 Simple black on white color pattern also represent the traditional feel of this ski jacket. Snow skirt and wrist cuffs keep snow out while the hood lets you snuggle deep on blistery winter days.